Pour one out for all the shows we lost this year. Another television season has come and past, and the big networks (ABC, CBS, CW, FOX & NBC) are currently beginning UpFront Week. UpFront Week is where networks debut their new lineup for the upcoming television season, as well as preview new shows for advertisers and the media. While television shows do come to a conclusion on their own (i.e. Scandal, Scrubs, ER), many others are not so lucky. Networks have a tendency of cancelling shows right as the season is ending and often times fans are not left with a satisfactory ending (i.e. The Event). Honestly, I’m not surprised that Designated Survivor was cancelled. I’ll admit though it was an extremely fascinating concept, and season one explored a lot of hypotheticals that ended with a great cliffhanger to make you want season 2. Unluckily, a lot of behind the scenes drama with production and uneven storytelling made season 2 feel quite different. No matter how good Kiefer Sutherland is as the reluctant President, Tom Kirkland, the show would ultimately meet its maker. Such a shame. 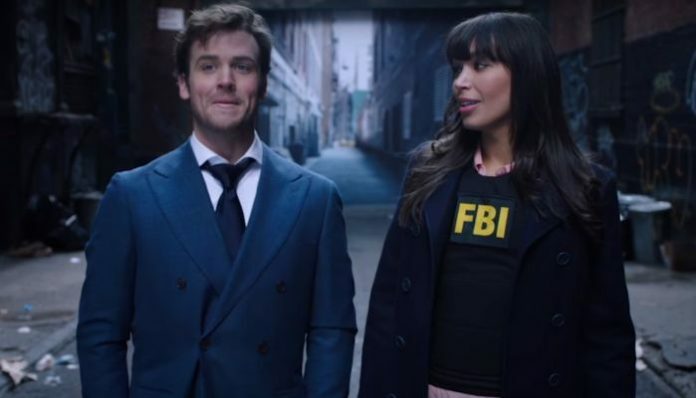 One of ABC’s freshmen dramedy series revolves around Cameron Black, a Las Vegas magician, who after a life altering scandal, teams up with the FBI to solve crimes. To be frank, the writing on the show is extremely predictable, but the story was convincing enough to have me tune in each week. Maybe most other American viewers were too used to being deceived. This is probably the cancellation that hurts the most. Great News was the quirky office place comedy that deserved better. It was co-produced by the hilarious and iconic Tina Fey and starred the heavily underrated Nicole Richie. What more could you ask for? I guess NBC and advertisers asked for viewers and they couldn’t produce. I’ll forever be sad not knowing what happened between Greg & Katie. Gone, but never forgotten. This cancellation stings because I want so much more. The story of Franco, Arthur and the gang at Superior Donuts in Chicago served so many purposes. It was intelligent, witty, and brought lightheartedness to serious topics such as police brutality, immigration and death. I guess not enough people at home were willing to risk their television calories for this show that saw its life tragically flash before its eyes. I can honestly say I didn’t watch one show that was cancelled by Fox. I either made an attempt or it served no interest to me. These shows include: Last Man On Earth, The Mick, The Exorcist, & Lucifer. I gave Life Sentence a chance, but the concept of the show, wherein Lucy Hale (of Pretty Little Liars fame) has to live her life with the consequences of decisions she made when she thought she was dying from cancer. There were too many characters, too many convoluted plots, and it felt muddled and rush. By episode 3 I stopped watching, and so did a lot of people because The CW quickly put it out of its misery. Also cancelled by CW: Valor. All in all, the television season this year has lost a few good shows, but much like Darwinism, only the strongest survive. Featured Image via screengrab from Deception.